I'm currently enduring a 6 day week, which is stressful enough at the best of times. But with going back to uni next week (I've been on placement) and Christmas creeping just around the corner my stress levels are pretty much through the roof. 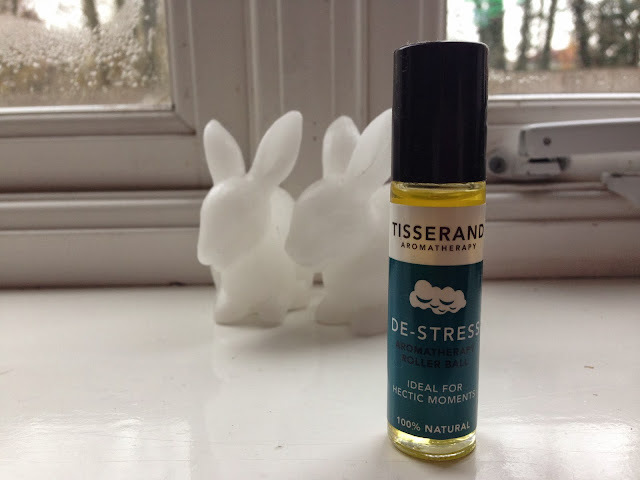 I wrote a little something about the things I use for stress and anxiety a few weeks ago (post here), but I've just got another little gem to add to my chill-out collection. This little handy roller ball from Tisserand* is just the perfect thing to take with me on the go. This little nifty thing has been with me everywhere recently, it's perfect to pop in my pocket so I can use it any time I feel my anxiety coming on. 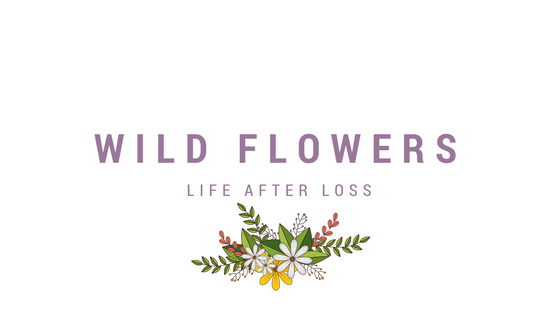 Of course, it doesn't make all my worries disappear but it certainly helps me relax a little and just take a moment to breathe in the soothing scents. The idea of the roller ball is to pop the oil on any of your pulse points to help de-stress, I find it best behind my ears and on my temple. I like to use a little on my nose too on an evening before bed time to help me drift off. 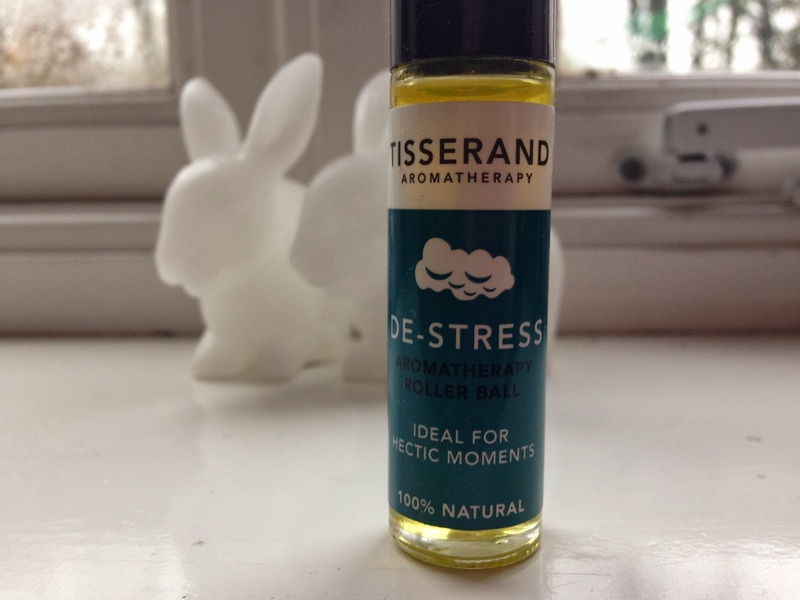 All of the aromatherapy oils used in this roller ball are 100% natural and the product is vegan too. The particular oils in this one are Patchuoli, Orange and Rose oil, all designed to work with one another to help rebalance and sooth. This is the perfect device for on the go stress relief, and if you're like me and you can get a little embarrassed about stress, it's really discreet too. 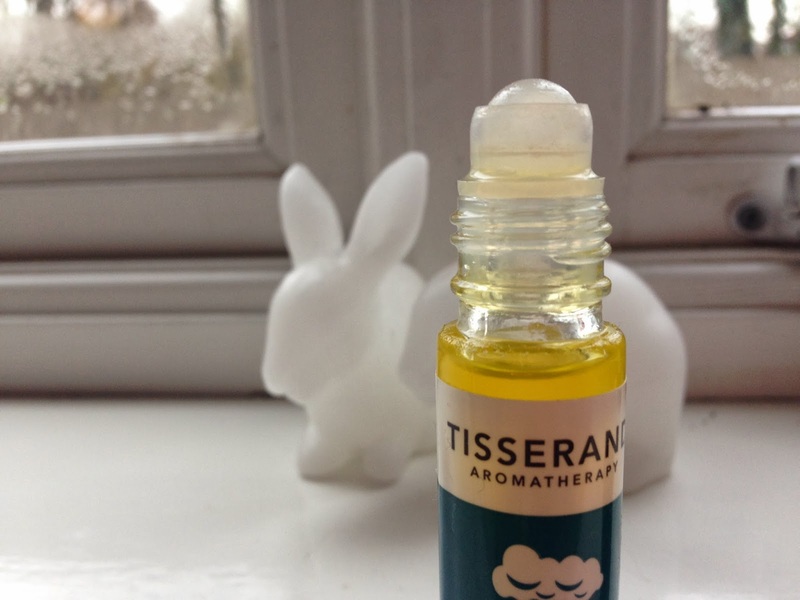 You can find out more about Tisserand and their products here. This sounds pretty neat, I especially like that it's vegan. And those bunnies in the background are super cute! i literally want those bunnies! are they little lights?